Submissions are now being accepted for the 2019 issue! Visit the English Department's Statement page for updates and further details. · All literary submissions are invited, including, but not limited to: poetry, fiction, creative nonfiction, scripts, graphic novels, works in translation, and hybrid forms. · Art submissions are invited in painting, drawing, photography and sculpture. · We will only consider writing of a literary and professional quality; revised, and polished. · We will only consider art of a professional quality. · Written submissions should be a maximum of 2000 words and may be full pieces or excerpts of longer works that can stand alone. · Scripts are limited to 10-minute performances. · Limit of four (4) total submissions per individual. The four submissions per individual may be in one or more genre or medium. · Cover Sheet: A single .doc or .docx file with your name, CIN number (if you are a current Cal State LA student) email address, titles of all submissions and short biography (maximum of 75 words; longer biographical notes will be edited). This is the only place, other than the file name, where your name should appear. · Text attachments must be in .doc or .docx format. · The title of each submitted piece of written work should appear at the top of the first page only. · Each writing submission must be submitted in a separate file. Do not start a new piece on the same page where another ends. · Include no headers or footers on any submitted art or writing identifying you, such as your name, CIN or email address. · Include the medium used to create the artwork and the year the artwork was created with the title on the cover sheet. · Each creative piece must be submitted in a separate file. · Images must be in .jpg format. · Digital files for art submissions must be print quality, at least 300 dpi. · Images of photographed artwork must be free of distracting backgrounds and stray objects. Accepted material only will be acknowledged by email notification. 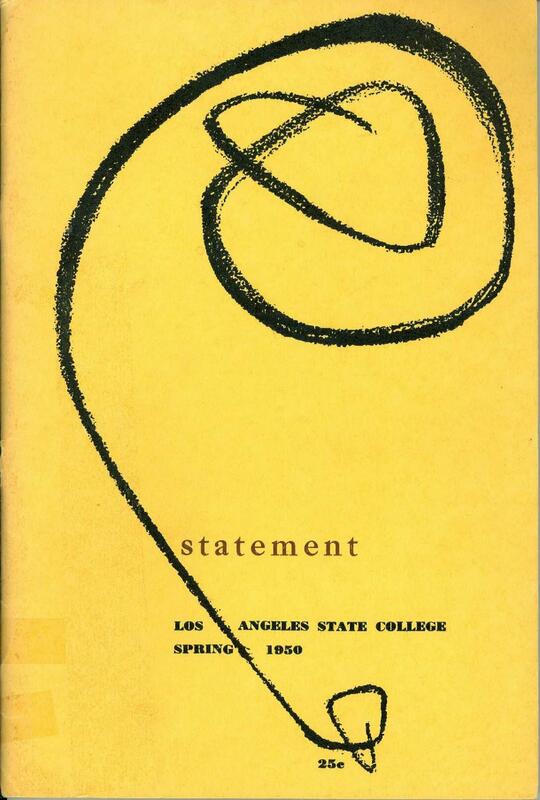 A creative and critical expression of Cal State LA since 1950.